Marc Pritchard is not just chief brand officer at Procter & Gamble, the biggest advertiser in the world, but also a father of three girls. And that is how he kicks off the interview — talking about his children and how they influence and inspire him. "In the mid-1990s, when I was running the CoverGirl business, it struck me even then that we have an obligation to express our brands in a way that is positive culturally," he says, highlighting the empowering campaigns P&G has invested in, including Always "#LikeAGirl" and Ariel "Share the load." Campaign’s interview takes place after Pritchard’s presentation — entitled "Raising the creative bar" — in a packed Palais des Festivals, during which he showcased some of the best (and worst) P&G work. One highlight was the documentary-style ad for beauty brand SK-II that tried to break the stigma for unmarried women in China — Pritchard confessed that it "gets the dad" in him every time he sees it. "The beautiful thing about the advertising industry is it often pushes advertisers to think about the cultural impact of advertising, because agencies understand it better than the clients do," Pritchard says. And he is fighting adland’s corner. Pritchard said in his talk that the industry needs to stop "the negative energy and gossip about agency/client relationships." And the audience cheered when he said: "I’m defiantly using the word ‘advertising’ to describe what we do. I proudly use ‘advertising’ to describe our craft. Because it is a noble and beautiful craft, and we need to embrace it as such." 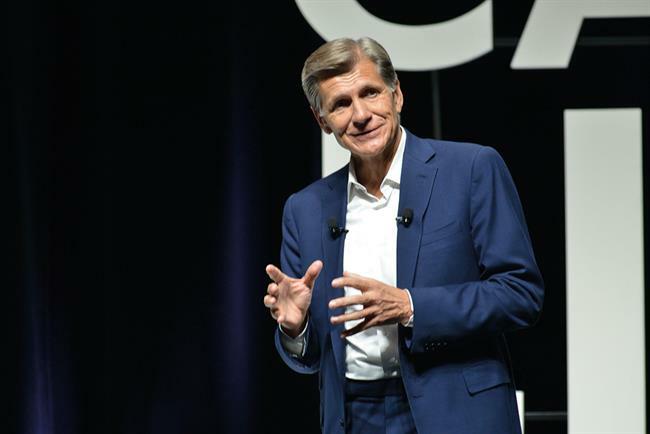 Despite planned spending increases in media and overall marketing, P&G continues to cut agency and production costs. Last year, it reduced its roster of roughly 6,000 agencies by nearly 40% and slashed agency and production spending by about $370 million. "It is true we are working with fewer agencies, but we are working with better agencies," Pitchard says. "I say to all my agencies to eliminate complexity and that their complexity is not my problem." He continues: "I need agencies to integrate and take their silos down. We are happy to work with the holding companies and, while we might work with a particular agency on a brand, we’ve been working with different capabilities from all around the network. It’s almost like open-sourcing, but internally. That’s a model I want to continue building. But it also doesn’t preclude us from sourcing work from outside." For example, for SK-II, the "Change Destiny" campaign to inspire women to take charge was created by Leo Burnett, while "Marriage Market Takeover" was conceived by Forsman & Bodenfors. Pritchard thinks this model of working with a set of core agencies, but with the scope to experiment outside, goes way beyond collaboration: "It is much more integrated and about being interdependent." On the hot topic of rebates, how much does he trust his media agencies? "We are constantly scrubbing to make sure we have full transparency. We verify, we have contracts, audits and third-party verifications," Pritchard says. "But advertisers who do not do their own governance have only themselves to blame. If you buy a house without doing an inspection, you cannot then complain when the roof leaks. "My house is in order, and I trust all my agencies." Does Pritchard have the same level of confidence when it comes to P&G’s relationship with the likes of Facebook, Google, Amazon or even Alibaba.com? After all, with all the data they own, they know consumers more deeply than any FMCG brand ever could and are extracting profits along the value chain. "They might have the data. We have the insight — and there’s a big difference," Pritchard says defiantly. "Remember what we are all here for," he stresses. "At P&G, we are looking for the absolute best creatively. It’s the one-tenth of the 1% top-of-the-heap creative excellence that we are seeking at this festival." The reason Pritchard chose this year to speak about creativity — "and only creativity" — is because he wants people to remember what this business is really about. Recalling the time P&G first met Facebook, when the social network had only 100 million users, Pritchard says: "We did an Oral-B campaign to try to win some fans. When the Facebook user base went up to 250 million, I called Sheryl Sandberg to say, ‘You’ve suddenly become very interesting to us.’ "
P&G, however, quickly realized that it was inefficient to collect fans and create one-time campaigns on the platform: "If we really wanted to engage with our consumers, we had better continue investing in things like Channel 5 programming." Pritchard adds that P&G then started working with Facebook to try to make stronger connections with its fragmented audience. "We found some pretty smart and creative ways to do that together — and we have come a long way since," he says. This year is Pritchard’s eighth sojourn at the Cannes Lions (and the 18th for P&G). He remembers a "much smaller festival" in 2008, the year of the global financial crisis. "Today, there are many more players — clients, media agencies and owners, ad agencies, ad tech, publishers and even PR. It is reflective of our complex market," he says. He feels the festival not just reflects the ever-changing face of advertising and creativity but, as a brand owner, it challenges him to push forward. The "#LikeAGirl" campaign, Pritchard reveals, was conceived at Cannes three years ago. The festival itself is evolving too. Last year, to honour work that addresses gender prejudice, it introduced the Glass Lion. This year, Cannes launched Digital Craft, which celebrates omnichannel digital creativity, and Entertainment Lions for Music for creative production of content with music at its core. But Pritchard warns of falling in the "crap trap" of producing content for the sake of getting stuff "out there." During his presentation, he had shared P&G’s advertising "hall of shame" — including a four-and-a-half-minute viral film for diarrhea treatment Pepto-Bismol that didn’t mention the brand; a Pantene ad promoted via a recipe for Cinco de Mayo celebrations; an Oral-B campaign featuring a "devil baby"; and an Always spot with a squirrel. The most iconic work is business-building, heart-warming, thought-provoking, conversation-starting and culturally relevant, Pritchard adds. One word that is absent from our conversation (and, indeed, from his presentation) is "purpose". His very first speech at Cannes was on "purpose-inspired brand-building". Is it because that is a space now seemingly occupied by Unilever? Pritchard laughs. "At one time, we wanted to add a higher degree of meaning to our brands," he responds. "I think the purpose of what we do is now so ingrained, it is almost like second nature." However, he offers a word of caution: "Sometimes, purpose can get so far removed from the brand that you lose sight of the brand itself." For him, the future of brand advertising will be in immersive experience while being true to the values of the brand. And what does he make of the future in general? Reluctant to delve into current sociopolitical dramas, he says: "We have to understand there are pent-up issues all around us and we have to start dealing with those. I come back to the gender-equality issue — what is that about? It is not just about fairness but possibilities that we need to get into. "I, for one, hope there comes a time when we don’t need a Glass Lion. Though it will require a lot of work, I will be so happy."